Although spring and the Jewish holidays it brings are months away, it’s never too early for a Caribbean-inspired song about Passover or the tale of a heroic queen who stood up to her king and saved the Jews of ancient Persia. Afikomen Mambo and The Queen Who Saved Her People use music, rhyme and colors to transport us into the spring season of Jewish holidays. 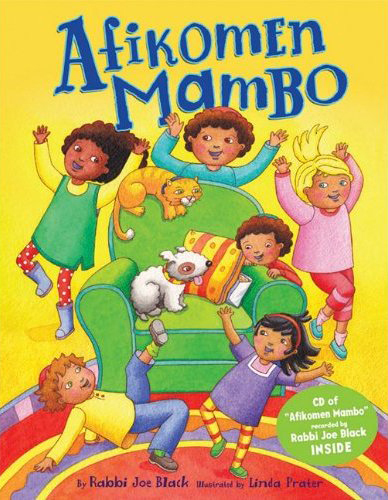 If more children’s songs were written like Rabbi Joe Black’s Afikomen Mambo, we might even see Jewish music by someone other than Matisyahu getting played on mainstream radio! The package comes with a CD of the song as well as a vibrantly illustrated book with illustrations by Linda Prater. Rabbi Black, who is a pulpit rabbi in Denver, is one of the most popular Jewish contemporary artists in the U.S. His work runs the gamut from contemporary adult to children’s music, always breaking the mold just a bit — including his recent foray into bringing mambo to Passover. With a fun, up-tempo rhythm, funky back beats and simple lyrics, Afikomen Mambo is a treat for children of any age — from 2 to 102 — who know what the Afikomen is and what it represents. That said, it’s not articulated what the Afikomen actually is, nor its purpose, so this will need to be explained to children who don’t already know. And speaking of explaining, Rabbi Black inserts a line toward the end of the song that may need defining for some children: “And when I find it I’ll articulate the terms on which we shall negotiate.” Beyond these two words, though, the song is enjoyable and accessible to anyone with knowledge of the annual hunt for the broken middle Matzah during the Passover seders. By contrast to the aforementioned upbeat search is the frighteningly complex story of the Purim holiday, in which a king expels his wife, searches for a new one, marries a Jewish woman (who hides her religion from him), is saved from a plot against his life, authorizes his adviser to commit ethnic cleansing, and then hangs said adviser. Not exactly fodder for a children’s tale — unless it’s on Halloween! To an extent, it is like Halloween, since Purim has been called “Jewish Halloween” by some due to the tradition of wearing costumes. It’s this story that parents must keep in mind when they choose to read The Queen Who Saved Her People to their little ones. 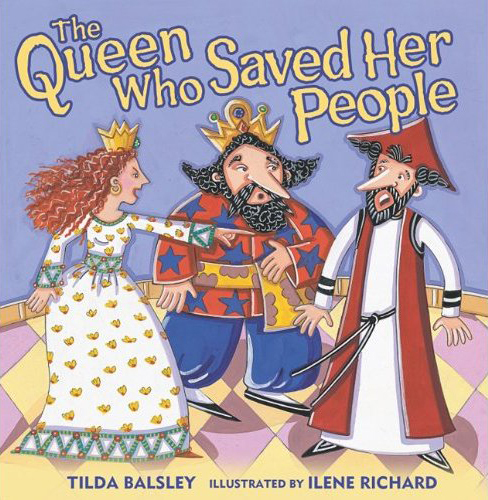 With themes like divorce, deception, plotting and death (including execution), the Purim story is not for the faint of heart — and this book, by Tilda Balsley with illustrations by Ilene Richard, doesn’t sugarcoat the tale. Without telling the entire story of Purim — the literal “whole Megillah” — it should suffice to say that this is a story that is told to millions of young children every year, but perhaps in less specific terms than are found in this book. That said, if the parent is ready to explain the specifics, The Queen Who Saved Her People is a fun read. The rhyming meter is simple, and color-coding allows the book to be read in up to five individual parts, so an entire family (or a class full of children) could participate in a reading. The illustrations are fun, and although people are represented as very angular, the colors are bright and the pictures are cute. Both The Queen Who Saved Her People and Afikomen Mambo are well-done and sure to be enjoyed by children and anyone who has the good fortune to read to them. For a child with some Jewish holiday background, the “Mambo” could be played on or before Passover, and The Queen is a fun, original way to retell a story that most 10-year-olds have heard many times before. It’s hard not to love these, since they both help children look at — and hear — a common topic in a new way. Josh Bob is the founder and CEO of Textaurant, which is changing the way that restaurant patrons wait for a table. He has previously been a freelance writer, publishing articles in print and online, and having his advertising copy featured in print, online, radio and television. 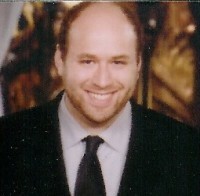 Josh has a bachelor's from Brandeis University and an MBA from Babson College.